Albert Pissis designed this Classical Revival building for James Flood, Jr., heir to a Comstock fortune. 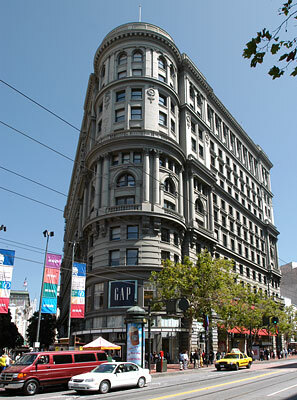 When it was completed in 1904, it was the largest building in San Francisco. The 1906 Earthquake and Fire only damaged the first two floors which were soon repaired.